These two did not wipe these smiles off their faces the whole day, which said volumes about what an amazing day it was and about how much love was in the air. Hannah & Rebels wedding was in Broken Hill with the ceremony held inside the Regional Art Galley and the reception at the Gary Radford Pavillion. Hannah's bouquet was a traditional posy of Roses, Snowberries, Lisianthus, Ping Pong Chrysanthemums and Blue Gum foliage, mostly white with a small touch of dusty pink. Her bridesmaids were similar versions of this in all white. The buttonholes incorporated Roses, Snowberry and foliage, they also included sentimental charms Hannah had given us. 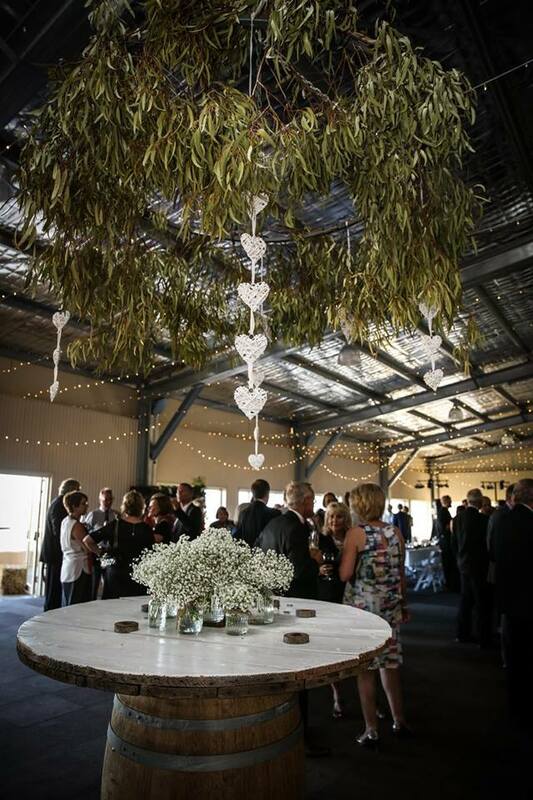 At the reception venue we had jars of Gypsophila and garlands of foliage adorning the long table settings. We also decorated birdcage lanterns with trailing ivy and spray roses and called in our not so vertically challenged friends (thank you Em) to help create a hanging backdrop of Gum and White Disbud Chrysanthemums. 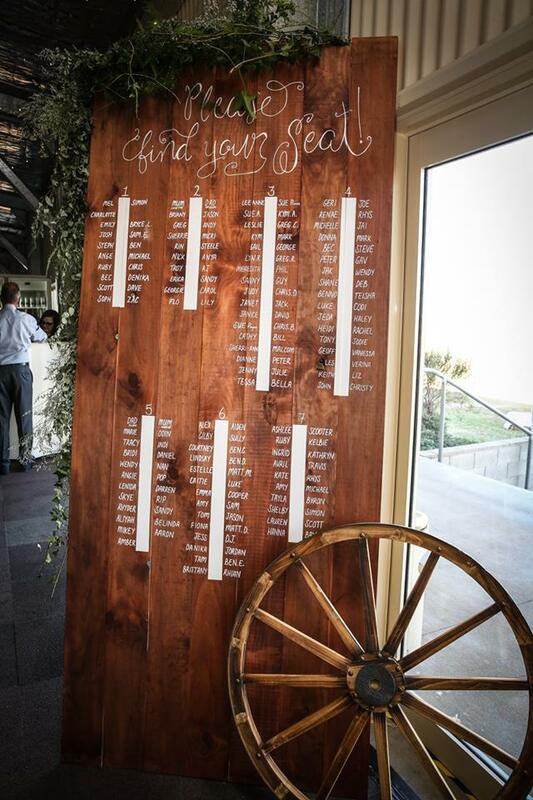 We also hung a large foliage and gypsophila heart over the dance floor and made sprays of foliage to adorn the welcome sign and seating chart. So many of the decorations were handmade and many of the Bride and Grooms friends and family all pitched in to pull everything together, there was so much attention to detail and everything fitted perfectly. Congratulations Hannah & Rebel and thank you so much for having Little Bloom be a part of your special day.